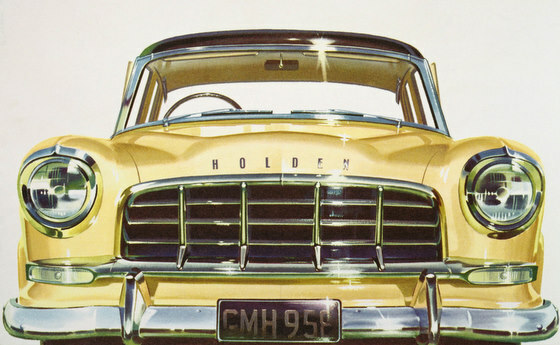 Classic Holden Cars TOP TEN. An improved version of the FE, with refinements to the engine, suspension and other components, which resulted in better driveability, smoothness and lower noise levels. A variety of changes to exterior trim and ornamentation included H-O-L-D-E-N letters across the bonnet front edge, diecast chrome fins on rear guards, additional chromework on Special side panels. The drivers seating position was improved and the new steering wheel with a half horn ring (instead of the FE’s full ring) made for better visibility of the instruments. GM-H didn’t stop there, and added extra “hooding” around the instruments to help cut down on distracting reflections. Base price when new: £1,110 ($2,220). 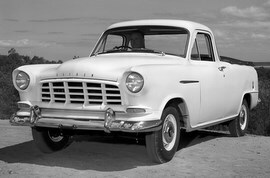 (included 500,000th Holden and 10,000th export Holden).